Portland, ME, August 1st – ClaimVantage is delighted to announce Employer Absence Suite, a new bundled product offering, specifically designed for large employers that wish to realize the savings and enhanced employee engagement that comes from self-administering all employee leaves of absence, including federal and state mandated FMLA programs. 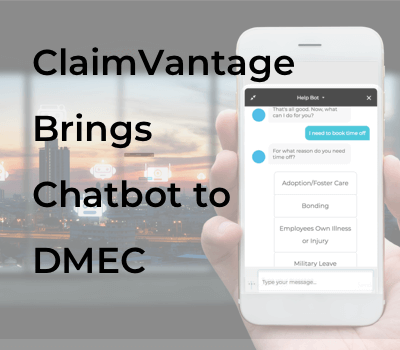 This new offering includes the ClaimVantage Absence Management software, a cloud-based, automated platform, integrated with the Accommodation Management solution, a centralized platform designed to document the ADA interactive process between an employee and a case manager. Manage paid family leave, including automatic calculation of the payment specifications of approved leaves, detailed explanation of benefits, and state leave-law definitions, and all necessary federal and state tax adjustments, on the same central platform. The customer portal offers online self-service functionality for employees and supervisors. The portal comes pre-configured with automated, rules-based workflows for eligibility determination, letter-generation, comprehensive reporting, task-management, and reminders, all based on industry best practices. All system functions and usage permissions are easily customized to suit each user profile. This comprehensive software solution, designed specifically with employers in mind, reduces the time and investment normally devoted to the implementation of a robust software solution, allowing companies much more flexibility in how they deploy a central absence management platform across their organization. One benefit of the cloud-based platform is the ability to deploy in phases and “scale-up” according to the needs of individual business units, divisions and locations. 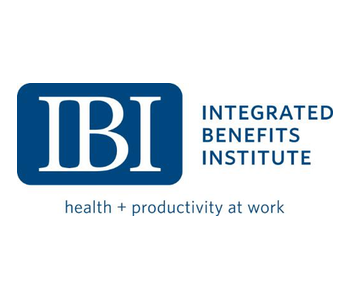 Employers may choose to integrate with external systems, such as HRIS, or instead simply upload files periodically, as most do with their disability insurance carriers. Historical absence information can also be uploaded to allow for precise FML eligibility determinations.